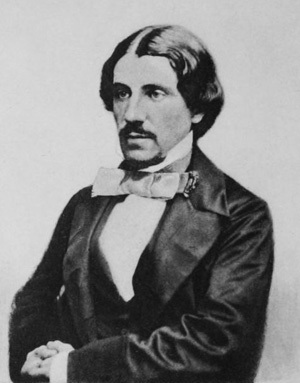 William Allingham was born in Ballyshannon, County Donegal, Ireland. He worked as a customs officer and a journalist. He is perhaps most famous for his poem "The Fairies", especially the lines: "Up the airy mountain, Down the rushy glen, We daren't go a-hunting For fear of little men; Wee folk, good folk, Trooping all together; Green jacket, red cap, And white owl's feather!"